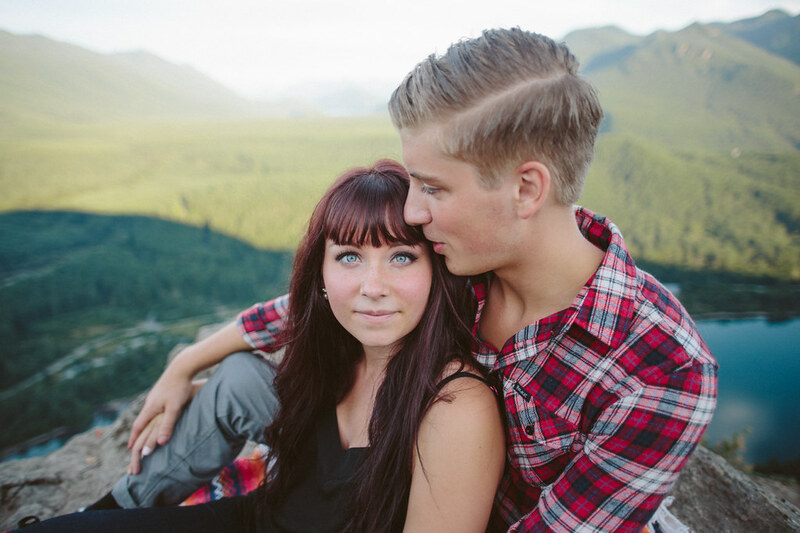 A couple weekends ago I had the pleasure of getting to photograph these lovely folks for their engagement photos! 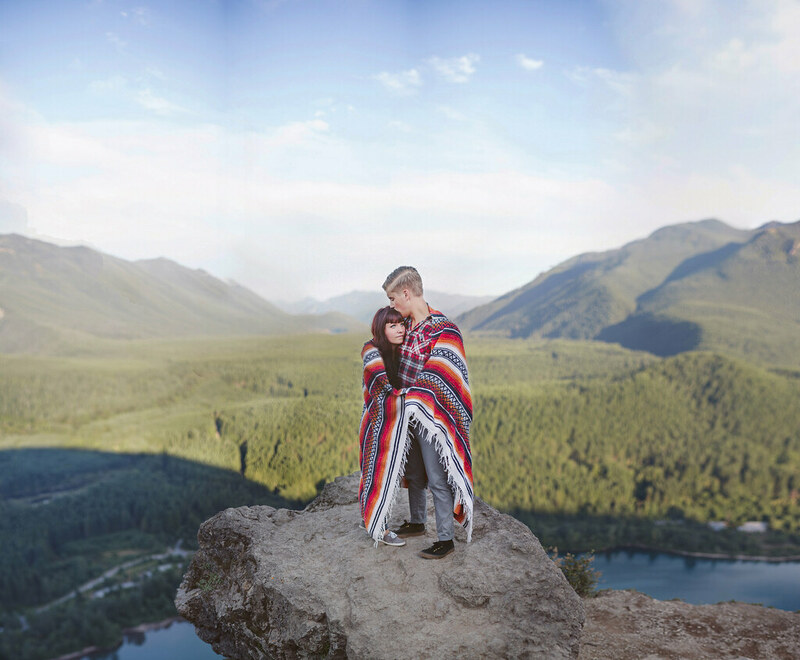 Jackson and Jessica are actually getting married in just four short weeks and I'll be shooting their wedding down in Oregon as well, which I'm super stoked about. I was really excited for this shoot because I had mentioned wanting to do a more outdoorsy shoot and they totally jumped at the idea. 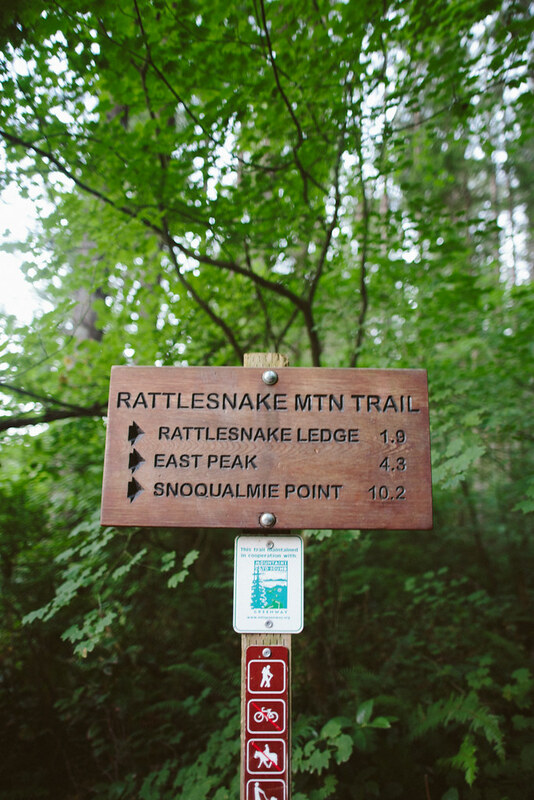 We picked a hike that had an amazing view at the summit, Rattlesnake Ridge, and met up out at the trailhead in the evening to make the hike. 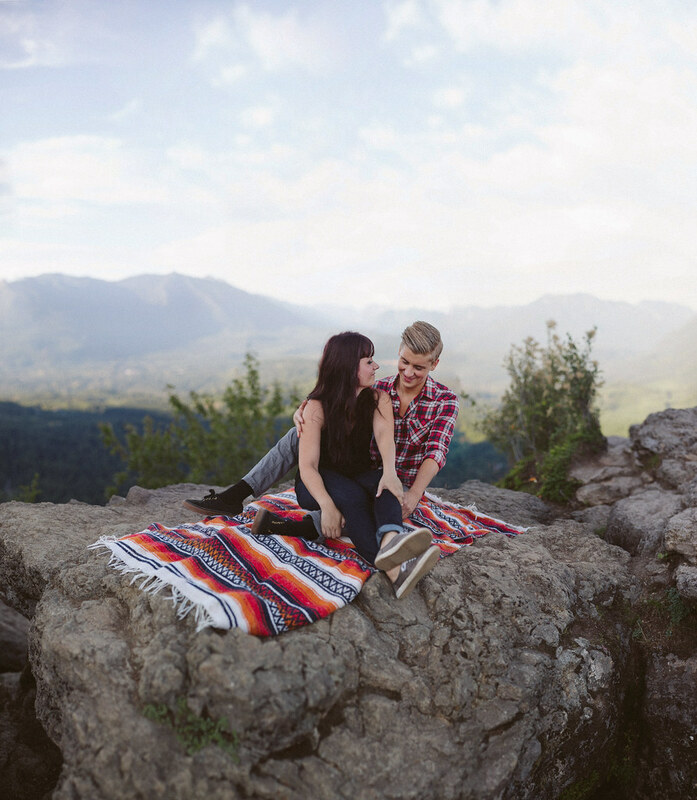 None of us had ever hiked Rattlesnake Ridge before, so it was fun getting to not only make some amazing photos for them, but also get to go on an amazing hike in the process! 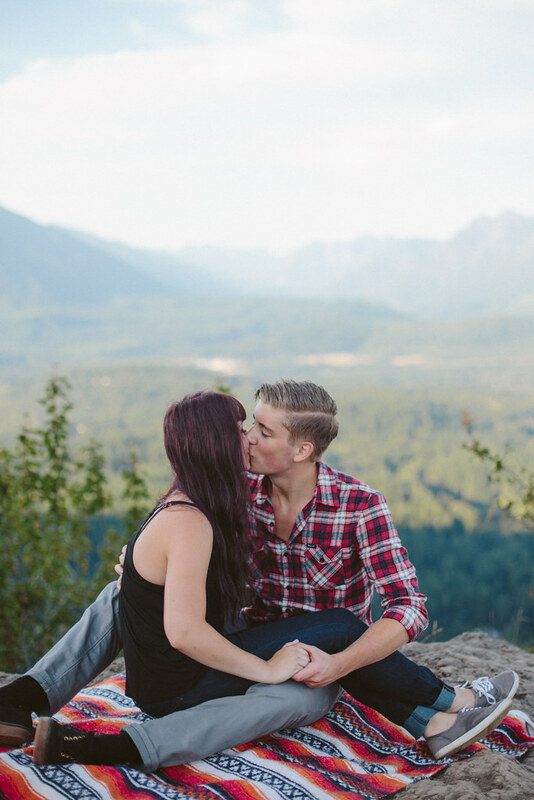 I would love to do more hike shoots. It's combining two of my favorite activities, so what could be better? 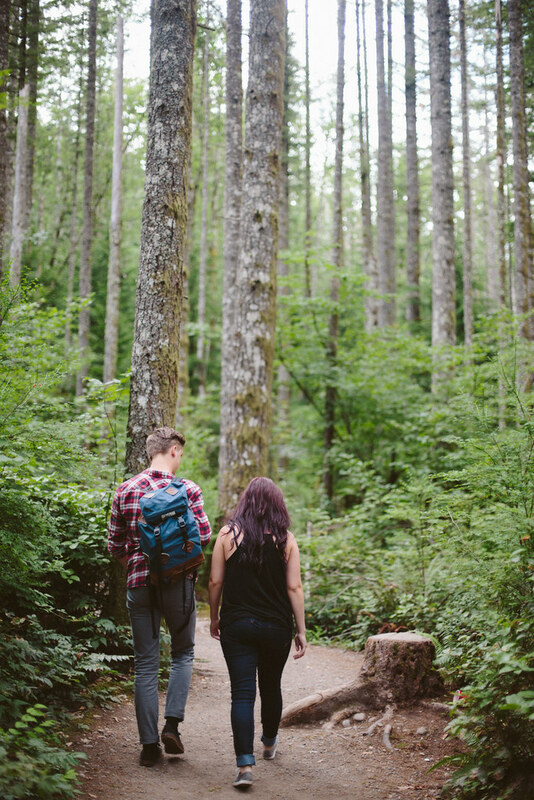 The hike turned out to be the perfect time to chat about wedding details and catch up, too! The hike itself was pretty easy, two miles in, two miles out. It's a very popular hike and the lake below also draws a crowd, especially during the summer, so it was pretty busy. When we got to the lookout at the ridge we actually had to wait a good ten minutes to be able to shoot at the spot we wanted to because there was a group of high school kids there with a bong and a veritable cornucopia of munchies taking in the scenery. Luckily they didn't linger too long and we were able to do our shoot. The next few months are going to be a whirlwind of photo shoots and weddings. I have three weddings within about a month, plus a bunch of portrait and family sessions, so I'll be shooting up a storm. It'll be good. Keep me busy. Tomorrow I'll be shooting Tacoma's craft beer and blues festival, Brew Five Three, here in town, which should be a blast. Great music and great local brews? Sounds like a recipe for awesome. In other news, I'm not thrilled with how everyone is talking about fall's immanent arrival. Also, the back to school stuff can go away please. Don't remind me that the fall is coming! I'm sure once all the fun holiday stuff starts getting into full swing I'll be ready for it, but I'm just so in love with how many hours of sunlight there are and how much I can get done before it starts getting dark. We did this shoot around 7 pm and in just a couple months it will have been dark for hours by that time. I sure do love these summer days that drag on till well into the evenings. I wish I could do like five more shoots like this before the summer evenings are gone till next year.